Dorchester, Mass. – Pitching in a familiar setting, Mike Vasil refused to be phased. 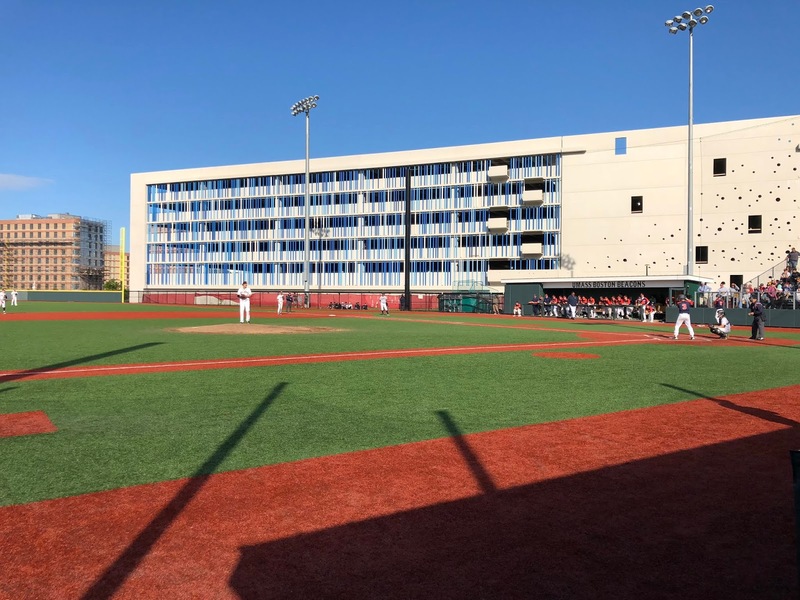 In the sixth Super Eight start of his career, Vasil threw seven scoreless innings allowing six hits while striking out nine as top-seeded BC High defeated No. 8 Walpole, 4-0, in the opening round of the Division 1A Tournament on Wednesday afternoon at Monan Park in Dorchester. The win moves BC High into the winners bracket where they will take on Central Catholic on Saturday afternoon. Walpole moves to the one-loss bracket where they will face-off versus Mansfield on Friday. Throughout his outing, Vasil battled against an aggressive and pesky Rebels lineup. Walpole had a man reach base in four of seven innings, and had a pair aboard in the third and fifth. Every time Vasil was in need of a big pitch, however, the six-foot-four inch right-hander reared back for something extra to keep the Rebels off the scoreboard. Walpole starter Cam Schlittler, meanwhile, navigated through six innings allowing three runs on seven hits while striking out seven. Numerous times BC High found itself with opportunities to break the game open, but Schlittler buckled down to keep Walpole within striking distance. BC High grabbed the early lead in the bottom of the first. With two outs, Matt Sullivan walked and Vasil lined an RBI double into left centerfield to put BC High on top 1-0. 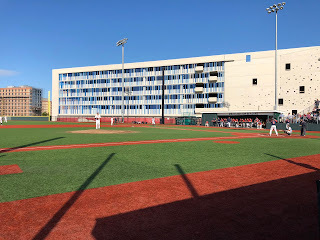 The Rebels had an opportunity to even the score in the top of the third putting runners on the corners with two men down, but Eagles’ shortstop Bobby DeMeo picked a line drive out of the air off the bat of Tyler Page to keep BC High in front 1-0. Walpole’s best chance to jump ahead came in the top of the fifth. Matt Donato and Brett Lavanchy led off with back-to-back singles and a sacrifice bunt put the two in scoring position with one out. Vasil, however, dug in and induced a pop up to third base before getting a strikeout via the changeup to escape trouble. BC High doubled its lead in the bottom of the fifth. Luke Murphy singled to left, and three batters later with runners on the corners and two outs, ran home on a double steal to put BC High on top 2-0. Schlittler worked out of a bases loaded one-out jam in the bottom of the sixth, but in the seventh the Eagles tacked on. DeMeo drilled a leadoff triple to right and Marty McCormack lofted a sacrifice fly to center increase BC High’s edge to 3-0. In the top half of the eighth the Rebels loaded the bases against BC High reliever Sean O’Connell. Eagles second baseman Pat Roche, however, made a sliding play going to his backhand and flipped to second for the force to keep BC High in front heading into the home half of the frame. BC High’s final run of the day came in the bottom of the eight as Murphy lined an RBI triple to right to bring home pinch-runner Seamus Donovan to make it 4-0 Eagles.